The trendy fun mobile Segway is also present on Gran Canaria. 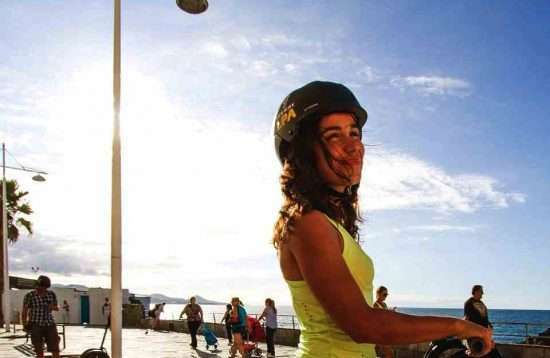 Cheerful and informal city safaris by Segway are offered for example in Las Palmas. A Las Palmas sightseeing tour in an extraordinary way! The ride on the stylish vehicle is absolutely effortless, amusing and you also get a good impression of the capital of Gran Canaria and its history. 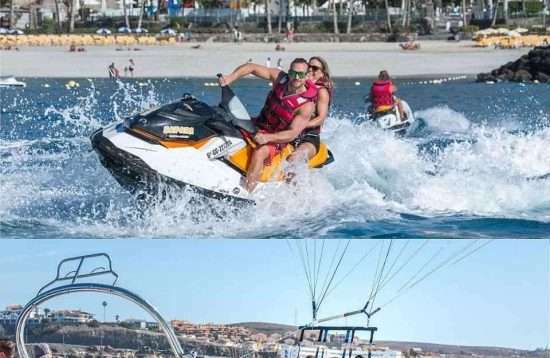 If you are staying in Maspalomas, Playa del Ingles or Puerto Rico you won’t have to miss out on the fun. 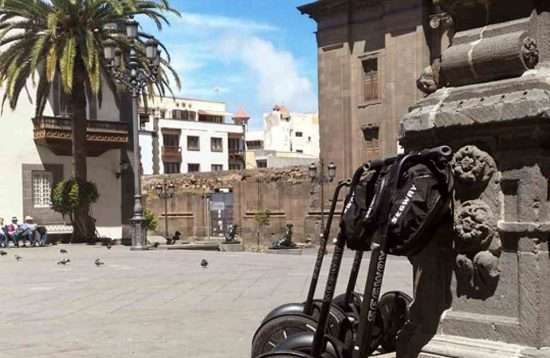 The Segway tour through Las Palmas is a successful mix between the unique driving experience on this trendy vehicle and an informative city tour. The tour will give you a first overview of the capital of Gran Canaria as well as lots of interesting information about the history and the present of the city. 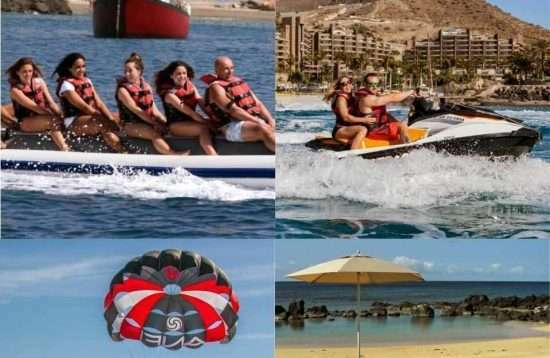 At the same time you may get some insider tips you can use for the recreational activities in Las Palmas after the Segway tour. Each participant gets their own Segway. Before the tour you will certainly have an exact introduction to the functioning of the device and enough time for appropriate driving exercises. It usually takes less than 5 minutes to feel safe on the vehicle. The only requirement is a minimum weight of 45 kilograms. Each participant receives a helmet. The participants drive in a row one by one, following the guide in the front who gives direction instructions. You travel faster on the Segway than through walking. Accordingly you get around more in Las Palmas in the available time as you would with normal city sightseeing tour. The Segway city guides are professional and of course very well informed. The Segway tour in the south of the island, takes you along the coastal promenade, always overlooking the beautiful sandy beach. You start in Playa del Ingles and your Segway takes you to Maspalomas safe and easy along car-free routes. Admire the dunes as you glide comfortably. Before you arrive at the seafront of Meloneras to enjoy a coffee, you pass the lighthouse Faro de Maspalomas, which should be on every list of sites to visit in Gran Canaria. An absolutely overwhelming experience made for your holiday. The Segway is a very well-designed, almost ingenious, electric single-person transporter. It has two adjacent wheels on the same axis. The vehicle is self-balancing; that means, it remains in balance automatically with its driver. It is also very easy to use. Therefore, driving is learned correspondingly quick. The driver stands on a platform between the two wheels of the Segway and holds on to the handlebar. Segway connoisseurs know about the enormous enjoyment of driving this funny vehicle. It literally feels like floating over the ground. Electronics, battery and engine are sealed so that the vehicle is usable even in wet conditions and absolutely fit off-roads. Accordingly many destinations offer off-road tours in the nature on rough and changeable ground like grass or earth. It can also overcome gradients of up to 45%. How do You Drive a Segway? The movement and steering of the popular vehicle is exclusively done by weight shifting of its driver. Therefore, there are no controls like brakes or accelerator pedal. An electronic control circuit ensures that the Segway drives in the direction in which its driver leans. You lean forward a bit and the Segway starts moving you lean backwards and it slows down again. Getting around is very intuitive for the driver. Taking curves is made possible by unequal speeding of the wheels. Each individual wheel is powered separately by its own electric motor. The driver shifts his body weight and swings the handlebar with him to the right or left. This movement is sensed by the tilt sensors, which causes the respective wheel to turn more slowly and thereby driving a bend. The vehicle is also suitable for indoor use, the tires are designed so that they do not damage the flooring and the axle is no wider than a standard door frame. And the control option is so precise that you can maneuver the Segway into the smallest spaces such as elevators. The maximum speed of the vehicle is 20 km / h. And the vehicle cannot exceed this speed, neither when driving downhill. This is guaranteed by the "Speed Limiter" the ingenious mechanism ensures that the handlebar is automatically pushed backwards with the driver on downhill tracks and thereby throttling the speed of the Segway. The Segway is powered by a lithium-ion battery. The range depends on various factors. For one, the weight of the respective driver plays a decisive role, but also gradients, tire pressure, driving style or wind conditions are decisive for the range. An average range of 35km can be assumed though. Where does the Segway Come From? The Segway was originally designed by its inventor Dean Kaman in 2001 for the electric wheelchair iBot. The idea of a serious means of transport for everyone developed from this concept. The basic thought was to relax the critical traffic situation on public roads through the Segway. In addition, the environmentally friendly vehicle is virtually noiseless and emission-free. Ultimately, however, the Segway became a trendy vehicle, which is mainly used by the leisure industry. On the one hand, fun sports such as the Segway Polo have sprung up. 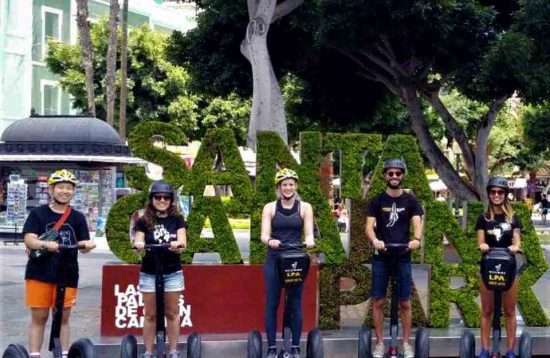 On the other hand, guided Segway sightseeing-tours are now available in almost all major European cities, as well as on Gran Canaria. And Segway courses are in great demand among companies for teambuilding measures nowadays.